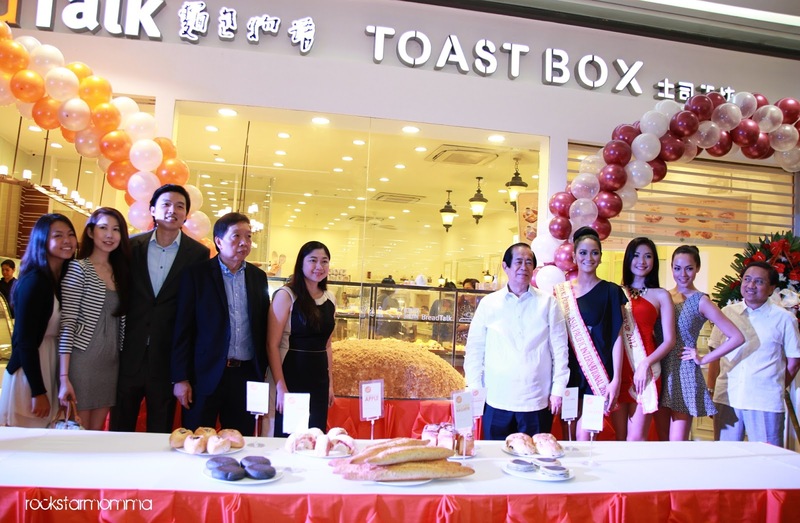 The iconic boutique bakery franchise from Singapore, BreadTalk recently celebrated the opening of its newest branch at SM Aura Premier with a launch ceremony of its Gen 4 breads held last week. 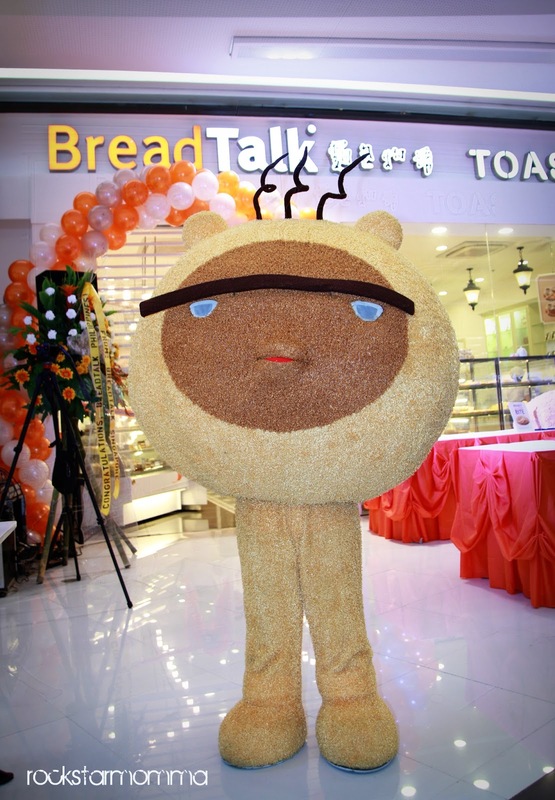 BreadTalk has launched delicious breads every year and has recently opened new branches in the Philippines, giving them a total of 36 stores. 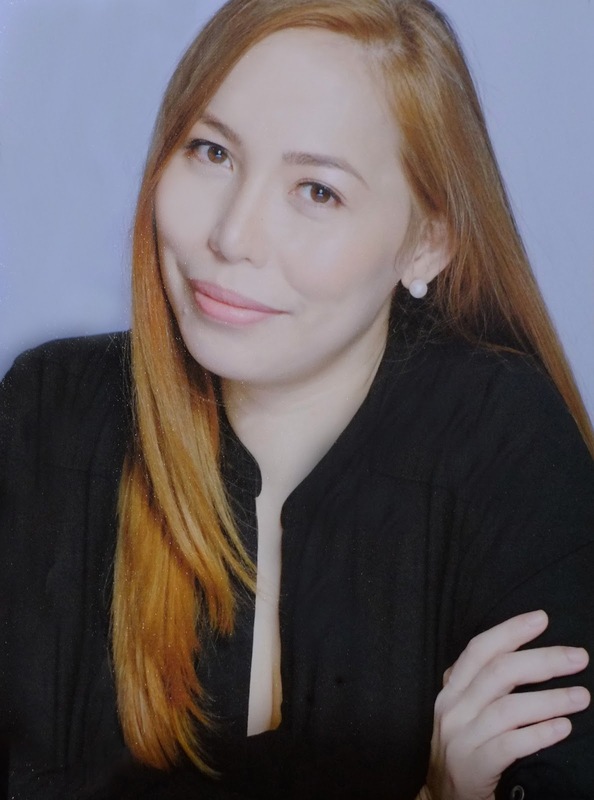 That means more Filipinos can experience what this world-class brand has to offer and more customers can look forward to an enhancement of the high standards they have grown accustomed to, harnessing the taste and quality of European breads and incorporating them with a variety of Asian flavors. Speaking of the opening of BreadTalk's SM Aura branch, Winward Chu who is the Managing Director, BreadTalk Philippines Inc. said BreadTalk will bring with it a stronger platform for the brand to connect with Filipino customers. The ceremonial cutting of ribbon was led by Taguig Mayor Lani Cayetano together with Mutya ng Pilipinas 2012 winners and BreadTalk officials. Taguig Mayor Lani Cayetano graced the event. Mutya ng Pilipinas beauties at your service! Look at that huge, 4-ft scrumptious Flosss! Biggest bite ever! Oh, and remember to Flosss daily! One of the popular food crazes to hit Manila is BreadTalk's bestselling Flosss and its so-called Flosssophy! I love how BreadTalk's concept allows customers to directly handle and choose the bread of their choice at its open glass counter with a tray and tongs. Of course, lines are usually long but it's worth it. You'll even catch Flosss Monster if you're lucky! Located at the lower ground floor of SM Aura, the new store combines rustic charm with contemporary appeal. 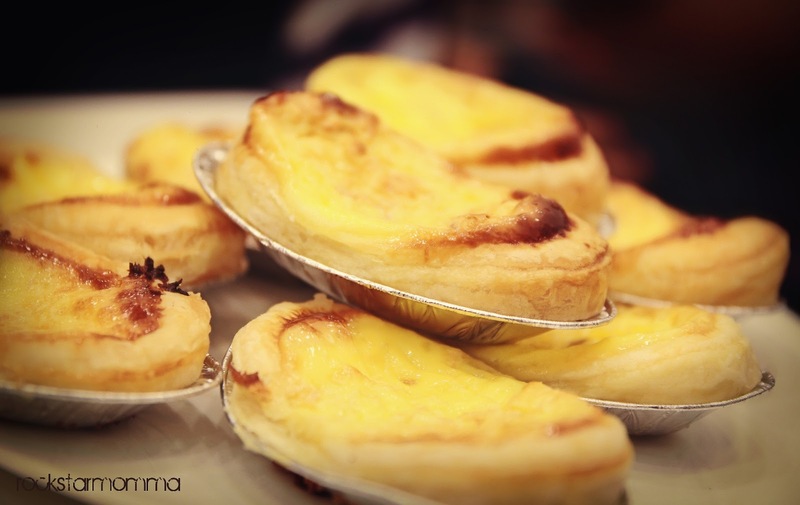 Together with Toastbox, they offer not only breads but a wide variety of menu with a blend of healthy taste and creative recipes from their international chefs. 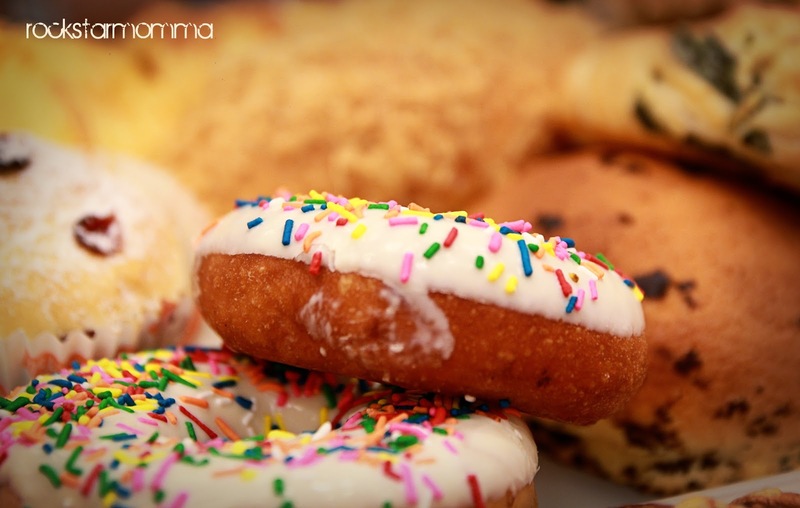 I love the ambiance, as well as the bright, cozy and homey feel plus the smell of the freshly baked that will keep you coming back for more. 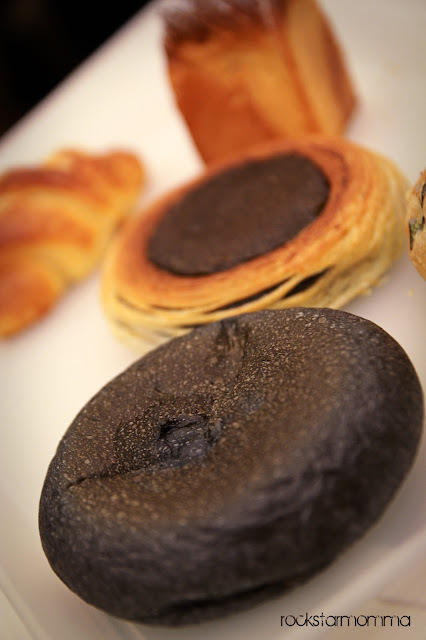 The new store boasts of the spacious boutique bakery concept and the seating area is available with a cafe style atmosphere. With Breadtalk's newly revised menu, refreshed store concepts and revitalized design, Filipinos get to experience the taste and sophistication this world class brand has to offer. 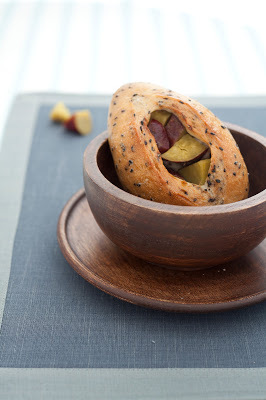 BreadTalk's Gen4 breads features Cinnamon Apple, Mushroom and Cheese, Bean Bag, Hello Panda, Berry Berry Hokkaido, Ham Croissant and so much more! 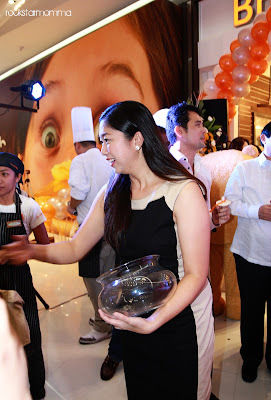 I'm one of the first foodies to have a first glimpse on BreadTalk's newest line of breads on their grand opening event. Berry, Berry Hokkaido! The taste and its name is rather unique to describe but the sweetness from the berries is the thing that does it for me. Blueberries, cranberries and walnuts combine to give the spice up this Hokkaido. Baked to perfection and brushed with a light apricot sauce, the Berry Berry Hokkaido is sure to be something you'll find very, very good. Black Pearl is made from black glutinous rice and mochi which is surprisingly good. The fluffiness of the bread is fantastic and the bread is wonderful. Big Apple- Bread with apple-cinnamon and raisin filling, topped with almond slices and icing. 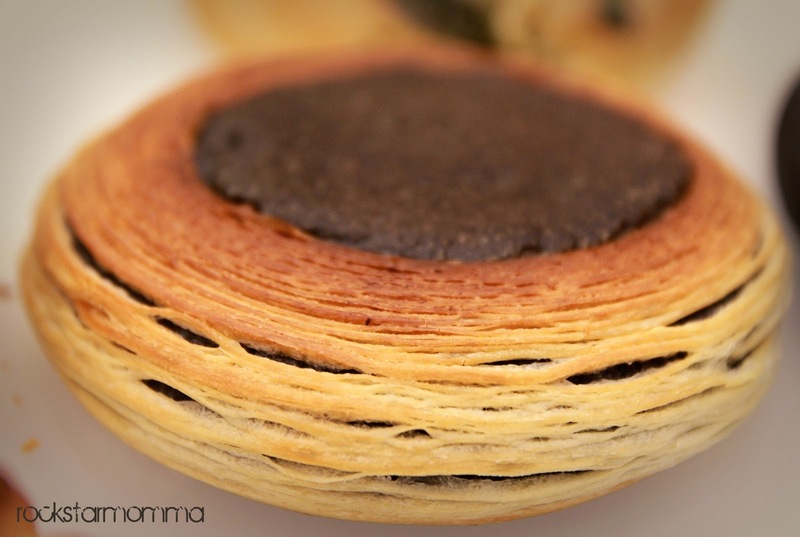 Coco Fuji is made with chocolate milk custard cream sandwiched between breads. Sayang Sardine. All I can is, "Sayang! I didn't get to try it." 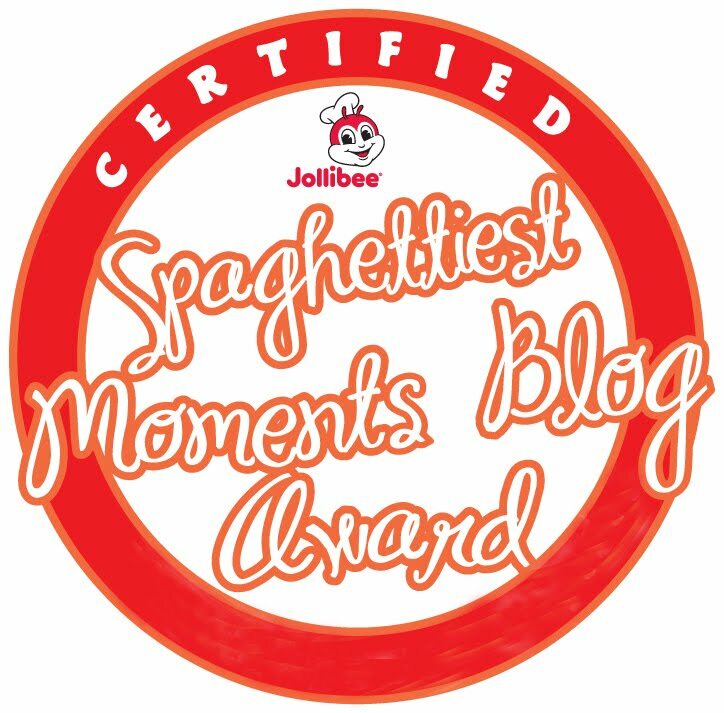 I was so full to take another bite but my blogger friends told me it's a winner with its sardine filling, garnished with parsley. Oh well.. I'll come back for you next week, buddy! Spinacheese. Popeye says, "I yam what I yam, and that's all that I yam!" 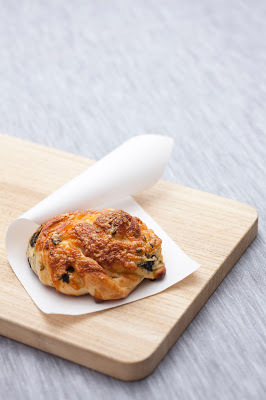 This one's made of soft French bun laced with generous serving of spinach and cheese. Really healthy and yummy! K-Pop Chicken (Claypot Chicken) To my surprise, I enjoyed this bread the most wherein sauce, rice wine and sesame oil come together in this comforting and fragrant three-cup chicken, topped with fresh basil for that extra oomph. The Asian chicken-filled filling of this bread is just something people would push them to come back for more. 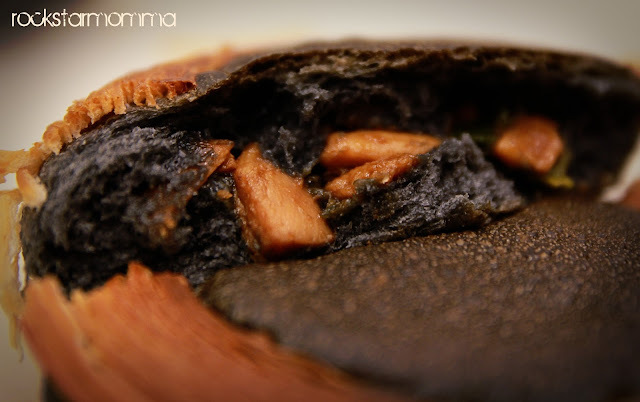 It is presented in the most tantalizing "claypot bun" making it a real winner with its flaky crusty goodness! And the beauty of this is even the claypot can be eaten! Literally! Sweet Potato Pot. This one is surprisingly good and yet another signature creation, each fragrant black sesame infused baguette is filled with aromatic steamed sweet potatoes for a hearty and healthy snack. 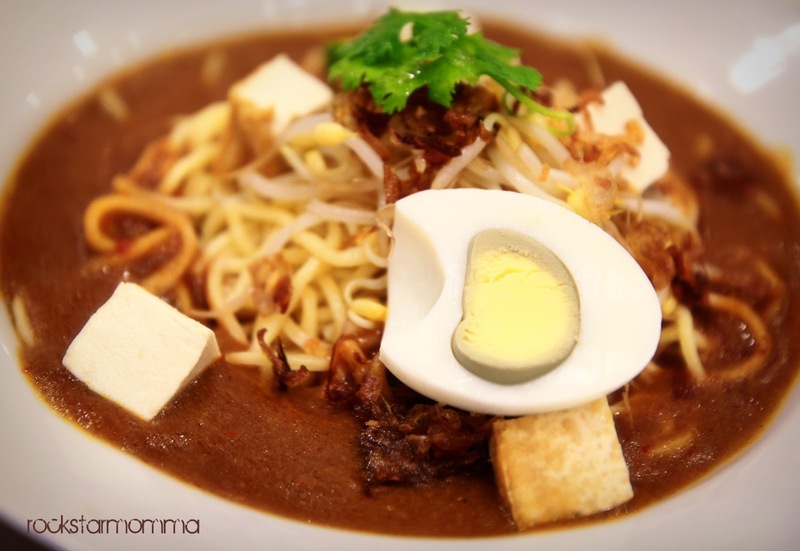 You'll be tempted to use a spoon to dig into the "pot" for a homey serve of this diced goodness. 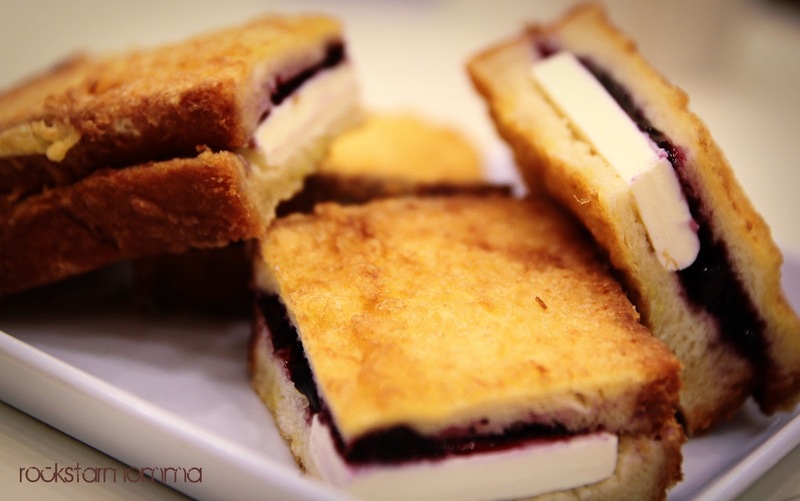 We also sampled new menu items from ToastBox like Mi Rebus, French Toast Blueberry Cream Cheese and French Toast Peanut butter! They were all kinds of yummy in my tummy! 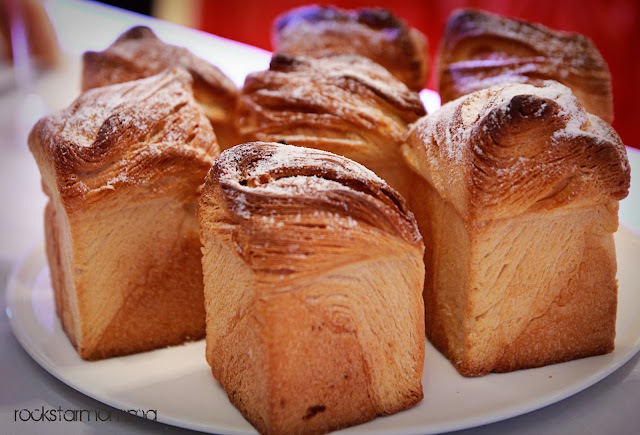 All I can say is that BreadTalk isn't your ordinary bakeshop, in fact it's unlike any other because BreadTalk's bread is not just an ordinary bread, the taste goes through even into the tiniest bit of the bread. 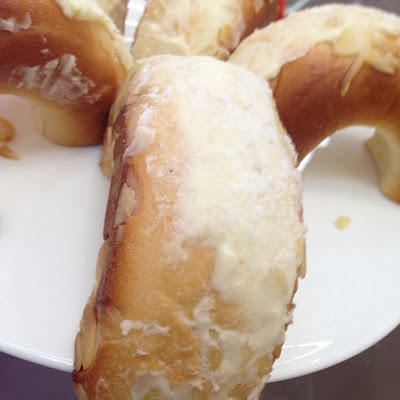 BreadTalk always innovates and gives people something different and out of this world that everyone will surely love. I'm a big fan of Bread Talk ever since I've tasted their Cheese Floss, Standard Saussage and Coffee Ball. And I'm quite happy to see new breed of breads and even doughnuts at the counter. You'll be surprised to see your favorite Sanrio characters come to life with BreadTalk's Hello Kitty cakes! Sweet surprise, indeed! 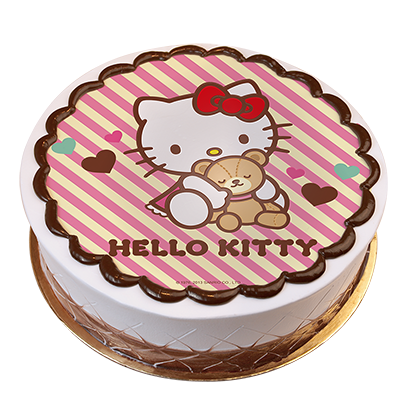 One forkful of this cake will surely leave you craving for more! I suggest you spend a lot of time on each of BreadTalk's exciting new creations because there’s a lot of creativity involved in every piece. Check out the endless selection of irresistible, freshly-baked sweet and savory breads and let the breads do the talking because at BreadTalk, the breads are nothing less than awesome! 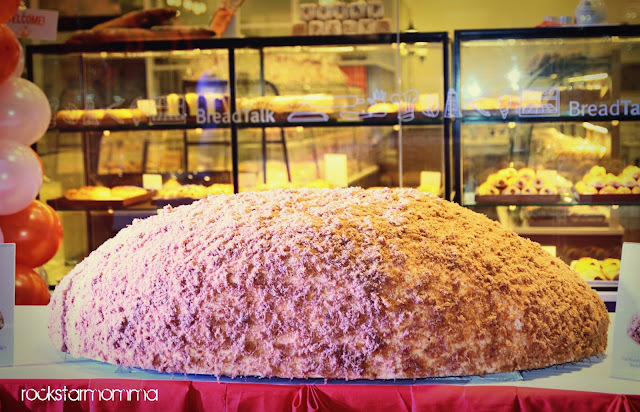 Like the official Facebook page of BreadTalk Philippines and follow BreadTalk via Twitter here! 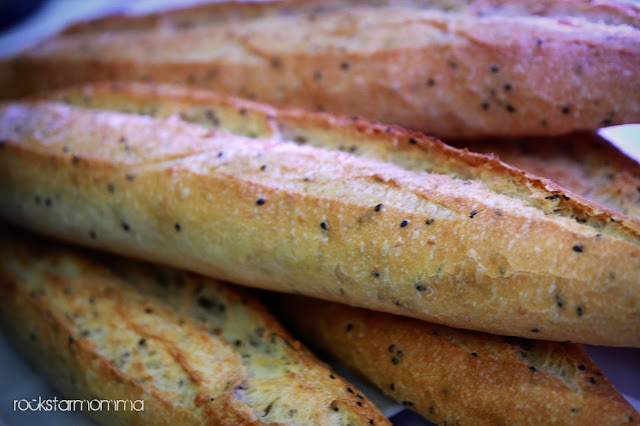 I love their bread! so delicious and always fresh! me too! i love Bread Talk..so sarap talaga!